Audio recorded by Marc Broer, in cooperation with VPRO / Vrije Geluiden. 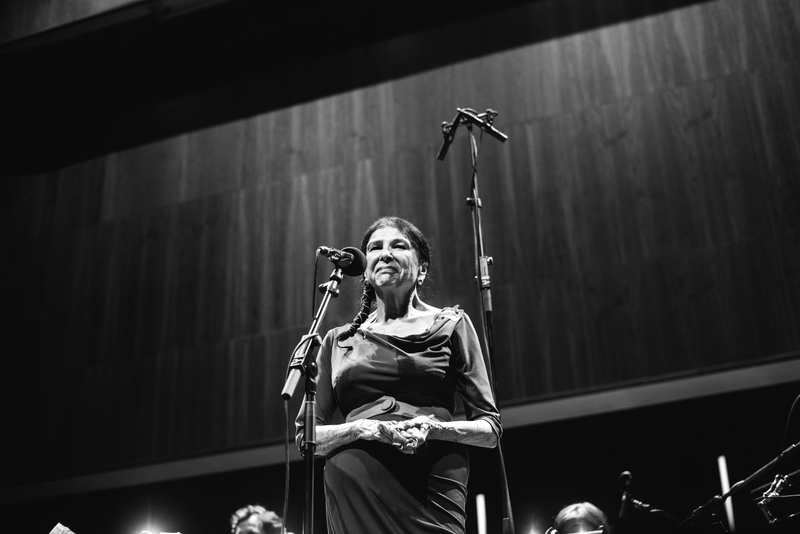 Alanis Obomsawin received worldwide acclaim as a filmmaker and visual artist. Her work is binded by crusading for the rights and well being of indigenous populations while simultaneously celebrating their culture and heritage. Lesser known but equally impressive are her endeavors as a lyricist and musician. Obomsawin has sung since the 60s, performing for humanitarian causes at universities, museums, prisons, festivals and art centres. Her 1985 album ‘Bush Lady’, which she performed at LGW, features traditional songs of the Native American Abenaki people, as well as original compositions.